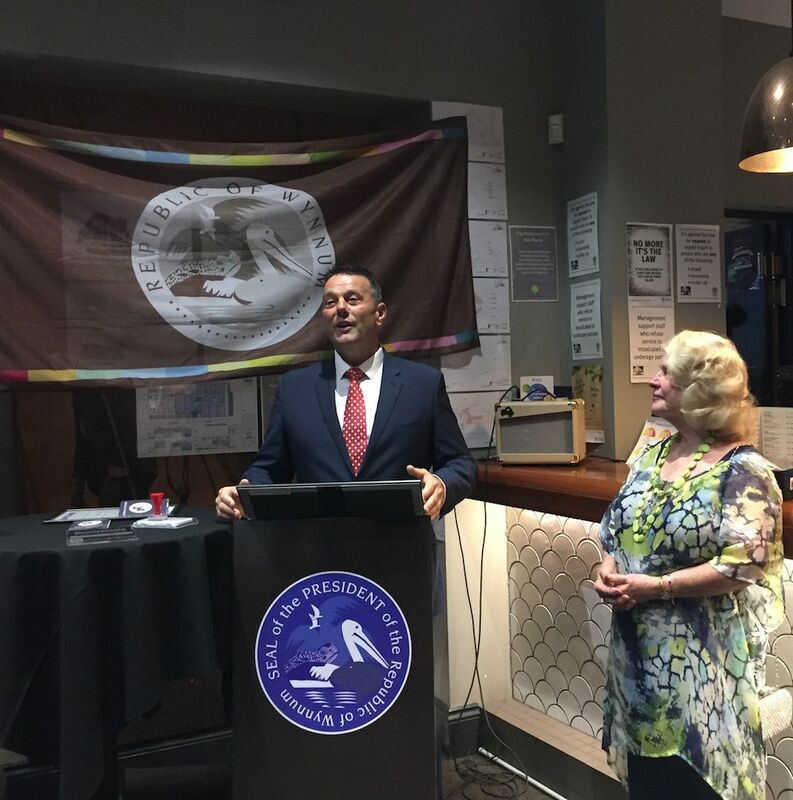 Last night (Wednesday 6th December) the new President of the Republic of Wynnum, John Shepherd, took office at the official Inauguration Ceremony, held at The Waterloo Bay Hotel. There was a small crowd on hand to witness the historic occasion. 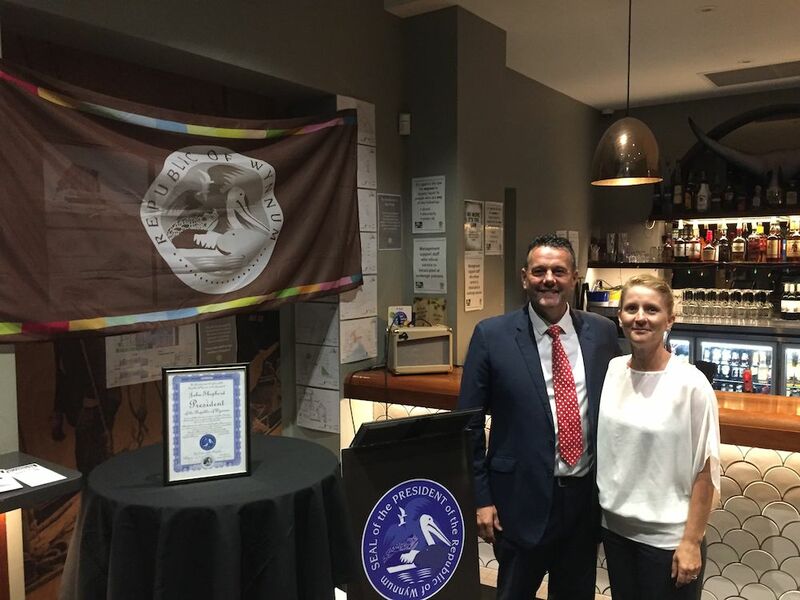 John Shepherd and the First Lady, Kathryn Shepherd own and operate The Coffee Club in Bay Terrace in Wynnum and President Shepherd will conduct his official duties from there (we assume). The former President, Yvonne Merriman (pictured with President Shepherd, left), was at the inauguration to formally hand over the reins to President Shepherd. 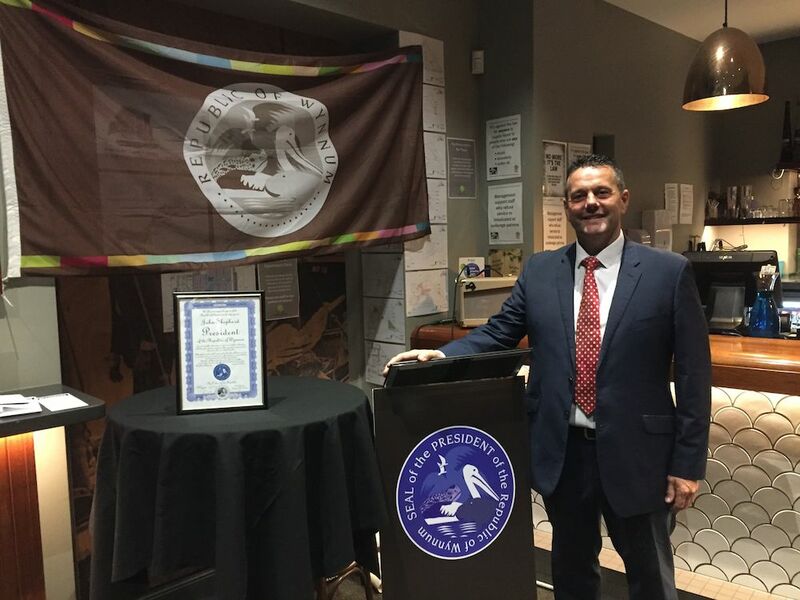 President Shepherd gave a short speech from the podium and received the Presidential Seal, the Certificate of Office and a special Diplomatic Passport. Former President Merriman will be recognised for her year in office with an aristocratic title of her choosing. The Republic welcomes President Shepherd to office and to working with him ‘for the betterment of the Republic of Wynnum’. 17! A complete selection of American football jerseys, Cheap Authentic hockey Jersey and baseball. peaked my interest. I will book mark your site and keep checking for new information about once per week.